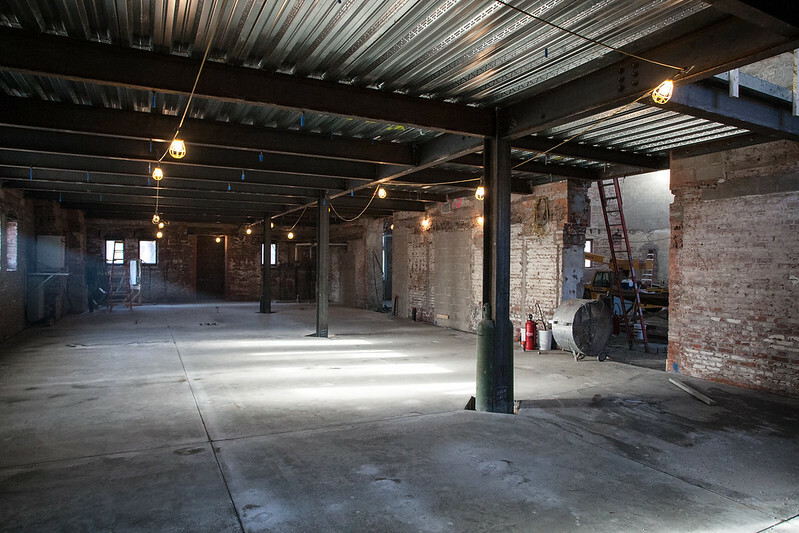 Following removal of all the original wooden floors, steel girders are installed in the east and west wings to support steel panels that will be topped with poured concrete. 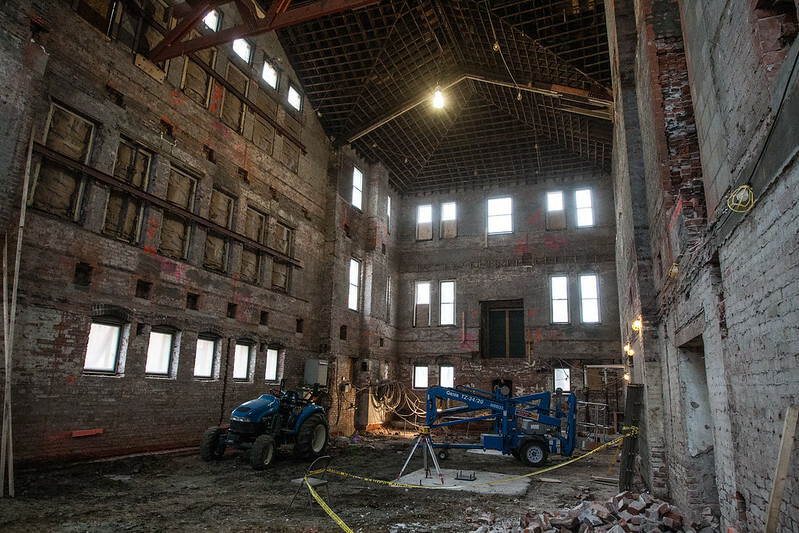 With the original floor removed, we can look all the way from the basement to the rafters in the central section of Alumni Hall. 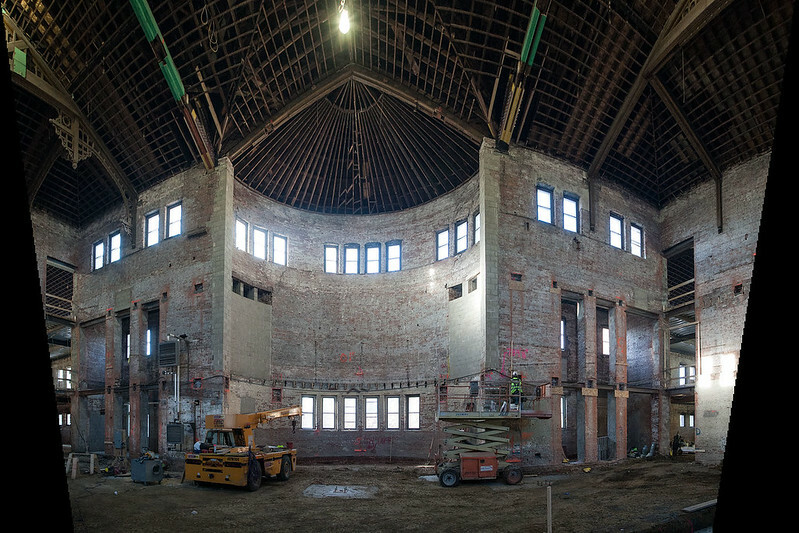 This view shows the curved south wall of what used to be an auditorium and theatre. On the other side of the wall is Seymour Union. The student literary society that once occupied this east wing of Alumni Hall, Gnothautii, reportedly chose a name based on ancient Greek words that mean, roughly, “know thyself.” It’s safe to say that you, the visitors to this blog, are the first to “know” this part of the building from top to bottom, basement to roof, following the removal of the old first and second floors in January 2014. 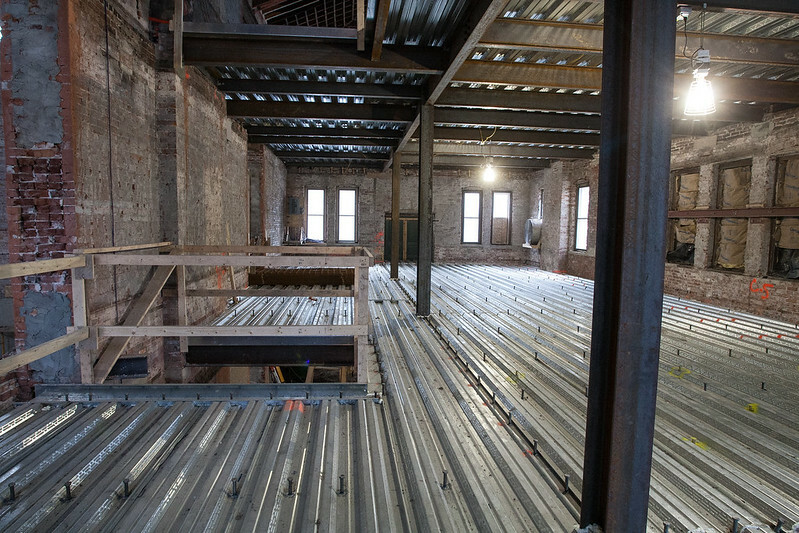 New floors will be installed as part of the renovation.